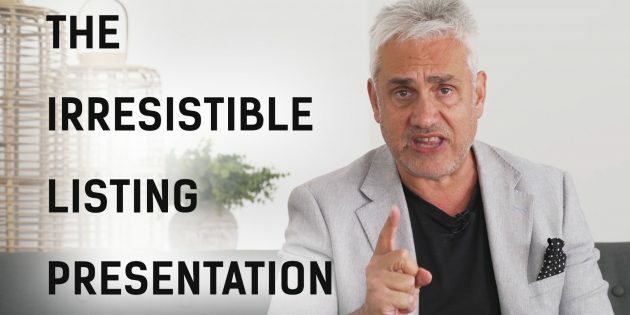 Why is it so important to have an irresistible listing presentation? Because if you’ve got a presentation that devastates your competitors, you’ll motivate yourself to try and create listing opportunities. In this training video, I’m going to reveal the modern-day formula to have an irresistible listing presentation. > Download the Pre-List Questions that you need to use when you’re on the phone to a vendor so you have the best possible chance of getting the agreement signed in the first meeting.